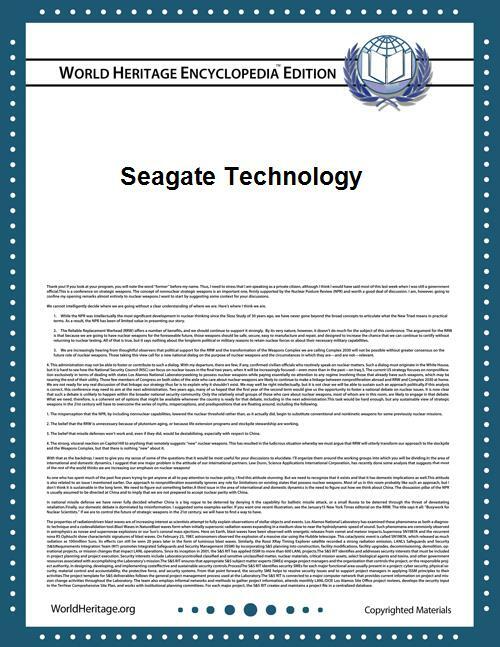 Seagate Technology PLC is an American data storage company that was incorporated in 1978 as Shugart Technology. It is currently incorporated in Dublin, Ireland and has its principal executive office in Cupertino, California, USA. 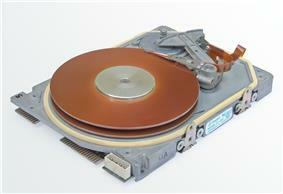 Seagate developed the first 5.25-inch hard disk drive (HDD) in 1980, the 5-megabyte ST-506. They were a major supplier in the microcomputer market during the 1980s, especially after the introduction of the IBM XT in 1983. In 1989, they finalized the purchase of Control Data Corporation's Imprimis division, makers of the Wren product line. This gave Seagate access to Wren's voicecoil-based technology. In 1991, they introduced the 7200 RPM Barracuda line, which remains their high-end offering. They purchased Maxtor in 2006 and Samsung HDD business in 2011. On November 1, 1979, Seagate Technology (then called Shugart Technology) was incorporated by co-founders Al Shugart, Tom Mitchell, Doug Mahon, Finis Conner and Syed Iftikar. The company came into being when Conner approached Shugart, then president of floppy disk drive company Shugart Associates, with the idea of starting a new company to engage with what Conner predicted would be a coming economic boom in the disk drive market. The name was changed to Seagate Technology to avoid a lawsuit from Xerox's subsidiary Shugart Associates (also founded by Shugart). The company's first product was released in 1980--the 5-megabyte ST-506. The product was the first hard disk to fit the 5.25-inch form factor of the Shugart "mini-floppy" drive. The hard disk, which used a Modified Frequency Modulation (MFM) encoding, was a hit, and was later released in a 10-megabyte version, the ST-412. With this Seagate secured a contract as a major OEM supplier for the IBM XT, IBM's first personal computer to contain a hard disk. The large volumes of units sold to IBM, the then-dominant supplier of PCs, fueled Seagate's early growth. In their first year Seagate shipped $10 million of units to consumers, however by 1983 the company shipped over 200,000 units for revenues of $110 million. The 20-megabyte version, the ST-225, and the 30-megabyte version, the ST-238 (physically similar but using a Run Length Limited ((2,7) RLL) encoding to improve storage capacity), were popular aftermarket additions for the IBM XT and AT and compatible microcomputers. These were also made in SCSI versions. In 1983, Al Shugart was replaced as president by then chief operating officer, Tom Mitchell, in order to move forward with corporate restructuring in the face of a changing market. Shugart continued to oversee corporate planning. By this point the company had a 45% market share of the single-user hard drive market, with IBM purchasing 60% of the total business Seagate was doing at the time. In 1989, Seagate acquired Control Data's (CDC) Imprimis Technology, CDC's disk storage division, resulting in a combined market share of 43 percent. The acquisition was synergistic with little overlap in products or markets; Seagate benefited from Imprimis' head technology and quality reputation while Imprimis gained access to Seagate's lower component and manufacturing costs. In September 1991, Tom Mitchell resigned as president under pressure from the board of directors, with Al Shugart reassuming presidency of the company. Shugart refocused the company on its more lucrative markets, and on mainframe drives instead of external drives. He also pulled away from the practice of outsourcing the production of components overseas, which allowed Seagate to better keep up with demand as the demand for PCs increased exponentially in 1993 across the market. This included a domestic partnership with Corning Inc., which began using a new glass ceramic compound to manufacture disk substrates. In 1991 Seagate also introduced the Barracuda HDDs, the industry's first hard disk with a 7200 RPM spindle speed. In May 1993, Seagate became the first company to cumulatively ship 50 million HDDs over its firm's history. The following year Seagate Technology Inc moved from the Nasdaq exchange to the New York Stock Exchange, trading under the ticker symbol SEG. Upon leaving, the company was the 17th-largest company in terms of trading volume on the Nasdaq exchange. In 1996 Seagate merged with Conner Peripherals to form world's largest independent hard-drive manufacturer. Following the merger, the company began a system of consolidating the components and production methods within its production chain of factories in order to streamline how products were built between plants. In 1996, Seagate introduced the industry's first hard disk with a 10,000-RPM spindle speed, the Cheetah 4LP. The product increased to a speed of 15,000-RPM by 2000 with the release of the Cheetah 15X. In May 1997 the High Court of Justice in England awarded Amstrad PLC $93 million in a lawsuit over reportedly faulty disk drives Seagate sold to Amstrad, a British manufacturer and marketer of personal computers. That year Seagate also introduced the first Fibre Channel interface hard drive. In 1998 Seagate produced its 1 billionth magnetic recording head, and within a few months Shugart resigned his positions with the company. That year the firm Seagate Research was also established in Pittsburgh, a $30 million investment focused on future technologies and prototypes. Technology developed by the center would include devices like the hard drive disk for Microsoft's first Xbox. In 1999 Seagate shipped its 250 millionth hard drive. In 2000, Seagate became a private company again, with a management buy-out and stock transfer to Veritas Software Corp. The total deal, worth about $20 billion, included the sale of its disk-drive operations for $2 billion an investor group led by Silver Lake Partners. The goal of the deal was to unlock the value of the 33% ownership stake Seagate had in Veritas, which had put the value of Seagate's stock at around $33 billion even though its market cap was only $15 billion. The company was incorporated in Grand Cayman and stayed private until it re-entered the public market in 2002. In 2003, Seagate re-entered the HDD market for notebook computers and provided the 1-inch disk hard drives for the new first iPods. This led to a trend of digital devices being created with progressively more and more memory, especially in cameras and music devices. The following year The New York Times called Seagate "the nation's top maker of hard drives used to store data in computers", as its revenue forecast outpaced Wall Street estimates towards the end of the year. At the beginning of 2006, Forbes Magazine named Seagate its Company of the Year as the best managed company in the United States. Forbes wrote that, "Seagate is riding the world's gadget boom. Its 1-inch drives are the archives for cameras and MP3 players." It also credited Seagate as being the company that "sparked the personal computer revolution 25 years ago with the first 5.25-inch hard drive for the PC". In April 2008, Seagate was the first to ship 1 billion HDDs. According to CNet, it took 17 years to ship the first 100 million and 15 years to ship the next 900 million. In 2009 Bill Watkins was released from employment as CEO and later that year Seagate announced their first solid-state drive, the Seagate Pulsar. In January 2010, Seagate's Board of Directors approved changing the company's incorporation Seagate from the Cayman Islands to Ireland. The change was approved at a shareholders meeting on April 14, 2010 and the change of incorporation took effect on July 3, 2011. That June, Seagate released the world's first 3TB hard drive, in the form of an external HDD as part of their Seagate FreeAgent line of external HDDs. It also announced they were moving their headquarters and most of their staff from Scott's Valley to Cupertino, California. In September, Seagate then released the world's first portable 1.5TB hard drive. The following March, Seagate announced the first standalone version of its 3TB HDD that can be used with their desktop computers, and in September, launched the world's first 4TB single hard disk external drive. That December Seagate acquired Samsung's HDD business. In March 2012 Seagate demonstrated the first 1TB/square inch density hard drive, with the possibility of scaling up to 60TB by 2030. The following March sales for the company had increased to the point that it was shipping eight drives per second. On March 12, 2013 Seagate announced that it was the first disk manufacturer to have cumulatively shipped two billion HDDs. Seagate was traded for most of its life as a public company under the symbol "SGAT" on the NASDAQ system, then moved to the NYSE under the symbol "SEG" in the 1990s. In 2000, Seagate incorporated in the Cayman Islands in order to reduce income taxes. In 2000, the company was taken private by an investment group composed of Seagate management, Silver Lake Partners, Texas Pacific Group and others in a three-way merger-spinoff with Veritas Software; Veritas merged with Seagate, which was bought by the investment group. Veritas was then immediately spun off to shareholders, gaining rights to Seagate Software Network and Storage Management Group (with products such as Backup Exec), as well as Seagate's shares in SanDisk and Dragon Systems. Seagate Software Information Management Group was renamed Crystal Decisions in May 2001. Seagate re-entered the public market in December 2002 on the NASDAQ as "STX." Finis Conner left Seagate in early 1985 and founded Conner Peripherals, which originally specialized in small-form-factor drives for portable computers. Conner Peripherals also entered the tape drive business with its purchase of Archive Corporation. After ten years as an independent company, Conner Peripherals was acquired by Seagate in a 1996 merger. In 2005, Seagate acquired Mirra, Inc., a producer of personal servers for data recovery. It also acquired ActionFront Data Recovery Labs, which provides data recovery services. In April 2006, Seagate announced the first professional Direct-To-Disc digital cinema professional video camera aimed at the independent filmmaking market (using their disc drives). Later that year Seagate acquired Maxtor in an all-stock deal worth $1.9 billion, continued to market the separate Maxtor brand. That year the company also produced the first hybrid drive. The following year Seagate acquired EVault and MetaLINCS, later rebranded i365. 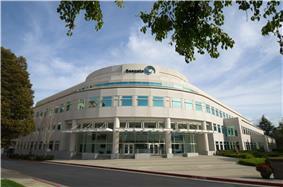 ^ "Working for Seagate in Cupertino, CA". Seagate Technology. Retrieved 2012-04-19. ^ a b c Kathleen Burton (December 17, 1984). "Seagate gears ride out into shaky mart". ^ "Oral History of Syed Iftikar". Computer History Museum. 2006. p. 17. Retrieved March 9, 2013. ^ Rex Farrance (September 13, 2006). "Timeline: 50 Years of Hard Drives". PC World. Retrieved October 7, 2013. ^ "ST-506 / ST-412 Interface". PC Guide. Retrieved October 7, 2013. ^ Greg Scott (1988). "Buying a Hard Drive". U-M Computing News. p. 13. Retrieved October 7, 2013. ^ Clayton M. Christensen (1997). "CHAPTER ONE: How Can Great Firms Fail? Insights from the Hard Disk Drive Industry". Harvard Business Press/Businessweek. Retrieved May 8, 2013. ^ a b Deacon, Brian (August 21, 1989). "Seagate/Imprimis Deal Forces Industry Shift". Electronic News: 1, 19. ^ "Manufacturer Profiles - Seagate Technology". 1989 Disk/Trend Report - Rigid Disk Drives: MFGR–16,17. October 1989. ^ "CONNER PERIPHERALS COO, PRESIDENT MITCHELL RESIGNS". ^ "AL SHUGART IS IN THE DISK DRIVER'S SEAT". ^ "COMPANY NEWS; SEAGATE TECHNOLOGY AND CORNING TEAM UP ON DISKS". April 21, 1993. Retrieved June 9, 2013. ^ The Electrochemical Society (2001). "Magnetic Materials, Processes, and Devices VI: Applications to Storage and Microelectromechanical Systems (MEMS): Proceedings of the International Symposium". Electrochemical Society. Electrodeposition Division, Electrochemical Society. Meeting. Retrieved June 10, 2013. ^ BS Teh. "IT Storage Brings ‘New Career Avenue’". Digital Edge India. Retrieved June 9, 2013. ^ Associated Press (November 23, 1994). "Seagate Technology to Leave Nasdaq for NYSE: Company says its departure is 'totally coincidental' with recent trading controversies". ^ Joseph H. Boyett and Jimmie T. Boyett (2002). The Guru Guide to Entrepreneurship: A Concise Guide to the Best Ideas from the World's Top Entrepreneurs. John Wiley & Sons. p. 255. Retrieved June 9, 2013. ^ G. Pascal Zachary (May 1, 2005). "Invasion of the Gadget Snatchers". CNN. Retrieved June 10, 2013. ^ "SCSI Drive Standoff". Maximum PC. October 2000. p. 80. Retrieved June 9, 2013. ^ "Seagate to pay $93 Million in Amstrad suit". ^ "Fibre Channel picks up steam; EMC joins ranks". InfoStor. January 1, 1998. Retrieved June 9, 2013. ^ "SUN MICROSYSTEMS INTRODUCE STORAGE SUBSYSTEM". TeleComPaper. October 27, 1997. Retrieved June 9, 2013. ^ "Separation agreement and release, Exh 10.14 to Seagate 10K for fiscal year ending July 3, 1998". ^ "Seagate to cut 3,000 jobs". ^ "How Seagate Got Its Groove Back". ^ a b c Lee Gomes and Don Clark (March 30, 2000). "Seagate Will Become Private In Complex $20 Billion Deal". ^ a b "Seagate to go public again, the Scotts Valley disk-drive maker, which went private two years ago, now seeks $1 billion through sales of shares". ^ Corilyn Shropshire (October 27, 2005). "Seagate says it isn't worried about flash memory chips". ^ "Technology Briefing - Hardware: Seagate Forecasts Revenue Above Estimates". ^ Erika Brown (January 9, 2006). "Drive Fast, Drive Hard". ^ Rueben Lee (April 30, 2008). "Seagate: 1 billion hard drives and counting". ^ "Seagate Introduces Its First Solid State Drive: Pulsar". seagate.com. Retrieved 3 January 2011. ^ Perenson, Melissa J. (2010-09-27). "Seagate's 1.5TB GoFlex Portable Drive Packs Monster Storage Into a Small Space". The Washington Post. ^ "Every SECOND there are EIGHT more Seagate drives in the world." ^ Robert W. Price (2004). Roadmap to Entrepreneurial Success: Powerful Strategies for Building a High-profit Business. AMACOM. p. 145. Retrieved June 8, 2013. ^ a b "Seagate to buy online data storage firm". MSNBC. December 21, 2006. Retrieved June 12, 2013. ^ "Seagate Hard Drives Enable World's First Digital Cinema Camera With Direct-To-Disc. Recording" (Press release). Seagate. March 2005. Retrieved 2006-11-22. ^ Associated Press (December 21, 2005). "Seagate buys Maxtor for about $1.9 billion". MSNBC. Retrieved June 10, 2013. ^ Bary Alyssa Johnson (June 6, 2007). "Seagate Launches First Hybrid Hard Drive". "How to interpret Seagate model numbers". Seagate.com. Seagate Technology. Retrieved 9 December 2013.